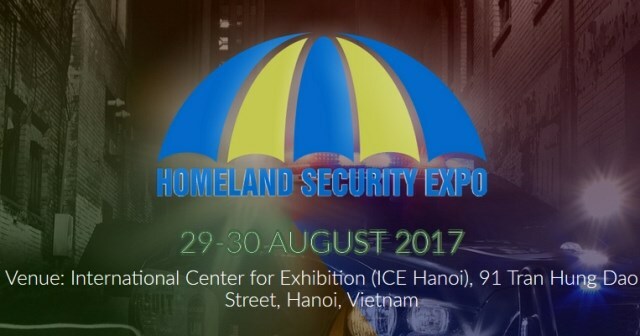 The Homeland Security Expo 2017, the first of its kind in Vietnam, was launched at the International Centre for Exhibition in Hanoi on August 29. Hanoi (VNA) – The Homeland Security Expo 2017, the first of its kind in Vietnam, was launched at the International Centre for Exhibition in Hanoi on August 29 to introduce latest and modern technologies and products for defence and public security. The exhibition is hosted by the Ministry of Public Security’s General Department of Logistics and Engineering, featuring 80 booths showcasing technologies and products by 50 exhibitors from leading countries in security and defence, including Russia, the US, France, India, Singapore, the Republic of Korea, and more. On display are personal protective equipment and safety wear, communication systems, detectors, surveillance and tracking systems, equipment and technology for maritime and salvage management, among others. In his opening remarks, the department’s director Lt Gen Le Van Minh said the event is an opportunity for security and military officers to get updates on latest security technologies and meet with the world’s leading experts in the field. It is also a platform to enhance international cooperation, experience exchange and technological transfer between firms from Vietnam and overseas.